B-iLLA Feat. Big Dutty Deeze ‘Paper Thugz’ (Produced by Tricksta) Big Tune! After the underground success of ‘Illa Tapes Volume One’, the Cambridge brothers Mistah Biggz and Dillahman a.k.a B-iLLA are back! Here we get their brand new track and music video taken from their much anticipated mixtape release ‘Brothers In Bars’ with the UK’s leading UK Hip-Hop mixtape series UK Runnings. ‘Brothers In Bars’ is hosted by long time UK producer and mixtape deejay Tricksta and promises to be something special from this talented duo. B-iLLA have arrived. This track is a just the start of things to come and once again sees B-iLLA give up the goods showing why their fan base is growing so rapidly. ‘Paper Thugs’ is a string led Hip-Hop banger that is produced by Tricksta who is currently gearing up for his debut artist album release which features the likes of Karl Hinds, Genesis Elijah, Iron Braydz, MCD, Scorzayzee, Logic and many more, as well as being the CEO of UK Runnings and Park Street PR and co-founder of Wolftown and Rago Magazine. ‘Paper Thugs’ sees the brothers go in both conceptually and lyrically as well as unleashing a guest verse from rising Midlands rapper Big Dutty Deeze who has collectively over 100,000 views on You Tube and has been signed to Chicago record label KGB distributed by Def Jam. This has already been well received and is something that any true UK Hip-Hop fan should be on. There’s a lot more to come from B-iLLA so please be on the look out for more videos from this project n the near future. B-iLLA’s ‘Brothers In Bars’ is already getting a major thumbs up from those few lucky enough to hear it! 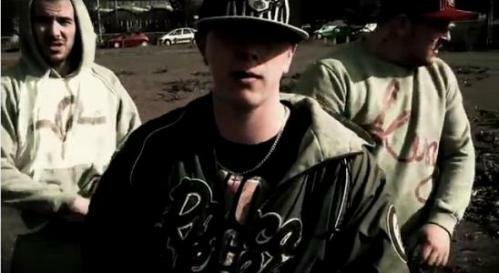 Destined to be massive B-iLLA really are the true sound of the UK underground. Real, raw and ready to takeover! Hip-Hop heads can pre-order their copies now for ONLY £3.00each via Paypal. ALL customers CD’s will be posted on May 17th along a FREE copies of Mistah Biggz solo album ‘The Darkness’ and B-iLLA’s latest release ‘The iLLA Tapes Volume One’.